Control your shades, control your costs. And manage the comfort of employees and customers year round. 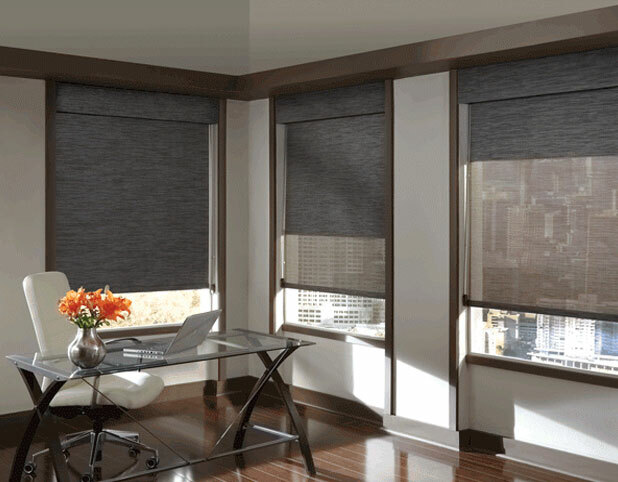 One of the simpliest ways to manage the comfort of your commercial space, for employees in offices, on the plant floor, or for customers to your business is to automate your shades. Not only will your employees thank-you for creating a more controlled climate, but you will also save on your energy costs. Controllable window shades can save you 10% on heating and cooling costs by blocking the sun’s rays in the summer and letting sun in to warm a room during colder months. And, with so many design options available now, window treatments can be practical, while still fitting the design aesthetic of your commercial or retail space.